All eyes are on Hurricane Joaquin. The hurricane is currently a Category 4 and could get stronger. It's the first this year that's posed a real threat to the U.S., and many on the East coast are concerned that it will be a repeat of 2012's Hurricane Sandy. While it may not cause as much damage as Sandy did, it could still prove costly. Flood damage isn't covered under most standard insurance plans -- in fact, it's only offered by FEMA and a handful of private firms. Wind damage on the other hand is covered by most insurance policies. The Insurance Information Institute compiled a list of the 10 most expensive hurricanes to hit the U.S. based on payouts of insurance claims. 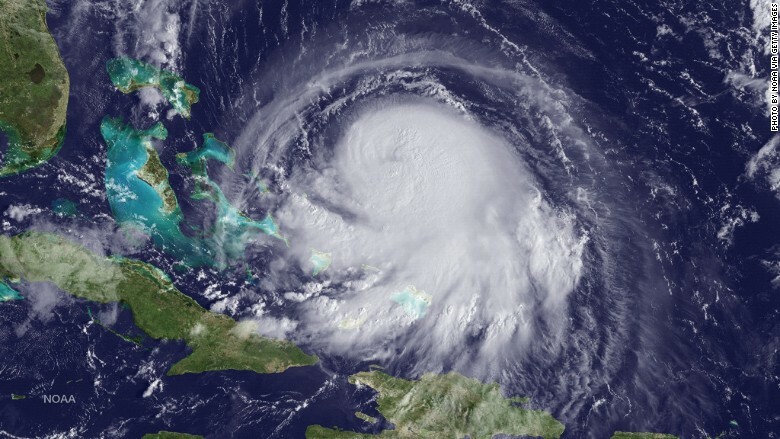 People on the East coast are worried that Hurricane Joaquin (pictured) will be a repeat of 2012's Hurricane Sandy.